Ever since T. B. Walker opened the art gallery in his Minneapolis home to the public in 1879, the Walker Art Center has been a dynamic and evolving institution. In fact, it has consistently grown, changed, and rethought itself for more than 120 years. 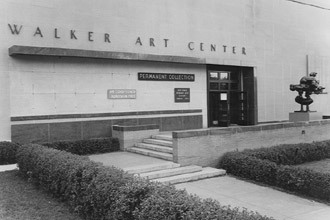 In 1927 the Walker Art Galleries opened at its current location in the Lowry Hill neighborhood. 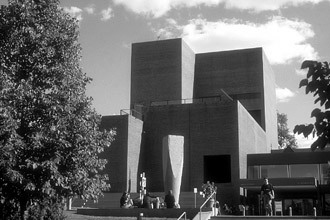 Just 13 years later in 1940, the institution changed its name to the Walker Art Center and began to feature performing arts programming in addition to visual arts exhibitions. In 1971, the current Walker building opened to great acclaim, replacing the original two-story facility. The Minneapolis Sculpture Garden opened in 1988 and quickly became a beloved destination in the Twin Cities. Each change at the Walker has come with new expectations and challenges. The Walker's expansion project is a direct result of nearly 18 months of work by the Board of Directors and staff to complete a new long-range plan. One of its key strategies is to expand the Walker's current facility into "a pioneering 21st-century multidisciplinary art center with audience engagement and experiential learning at its core." The Walker's Board strongly believes that the expansion is vitally important for the institution to remain both a valued cultural resource in Minnesota and one of the great contemporary art centers in the world. "The new Walker is about convergence, the coming together of artists and art forms as well as audiences from down the street and around the globe. The project will not only enlarge our physical facility, it will expand the Walker's role as a singular laboratory for new commissions and for continuous invention. The new town square will provide spaces for people to come together to share viewpoints that stretch our collective sense of who we are."